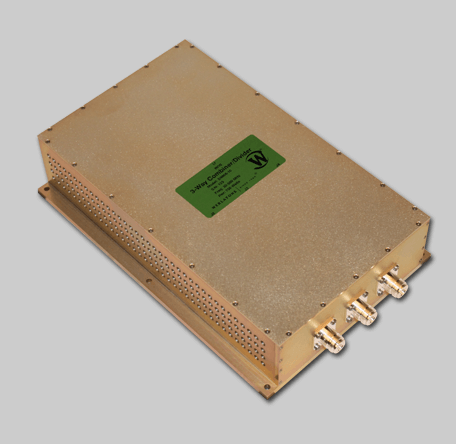 The Model D9866 is a 3-Way Combiner/Divider, covering the full 30-500 MHz bandwidth, rated at 750 W CW. Designed for the lowest loss and severe input unbalances, the D9866 is ideal for when 2 amplifiers are too few, and when 4 are too many. The D9866 operates with full port-to-port isolation, and will operate in harsh military & commercial environmental conditions.